Since 1943, ASCD has empowered educators by providing essential programs, products, and services that support the success of each student. 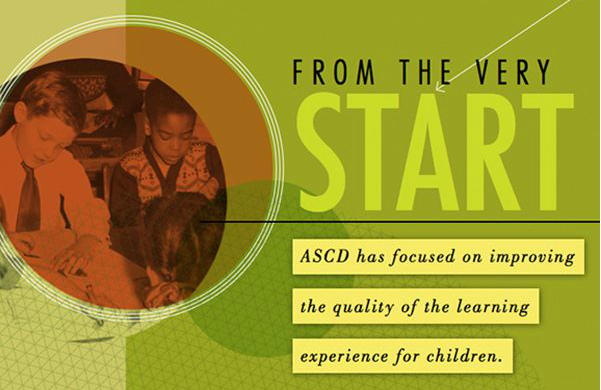 Through the years, ASCD's focus has stayed the same: to improve the quality of learning for each student and to provide our leaders with innovative, cutting-edge resources. And as technology advances, ASCD embraces the new possibilities. In our 70th year, the 2013 ASCD Annual Report, titled "The Promise of Leadership: Sustaining Learning, Transforming Teaching," is a web-based, narrative story of ASCD's work and features voices from our past, present, and future. The visually stunning site hosts four videos and provides high-level overviews of the association's membership, constituents, and conferences and events. We encourage you to explore the many stories in the report's three categories: sustaining, transforming, and leading.